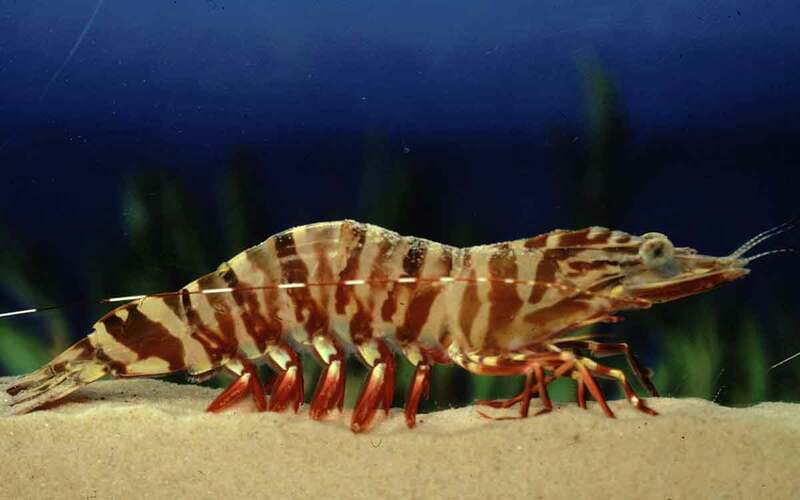 Today I want to write about a species of prawn that is often eaten in Australia, the brown tiger prawn. These common prawns grow up to 20 cm long. They get their names from their distinct stripes which resemble a tiger’s. Young brown tiger prawns live in seagrass beds in estuaries, before moving out into the ocean when they grow big enough. The adults hide in the sand during the day and come out at night to feed. Brown tiger prawns are found in warm waters all around Australia. They are commonly caught by the commercial fishing industry and have recently been successfully farmed, helping to protect their wild populations. Are there any other interesting facts that you would like to share about brown tiger prawns? A few 20cm is a good meal ! Thank you for making this website thing it helped so much when I did a assignment on them thank you!!! !